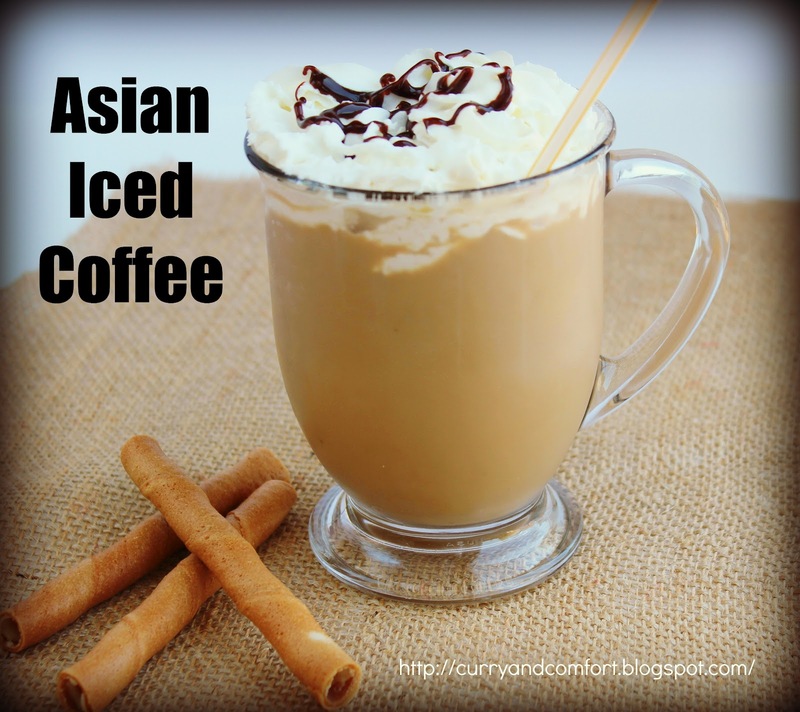 I like to make this sweet and decadent iced coffee when I entertain my family and friends. It is very simple to make, but it tastes very rich and satisfying. You can also add extra touches to it to make it taste fabulous. 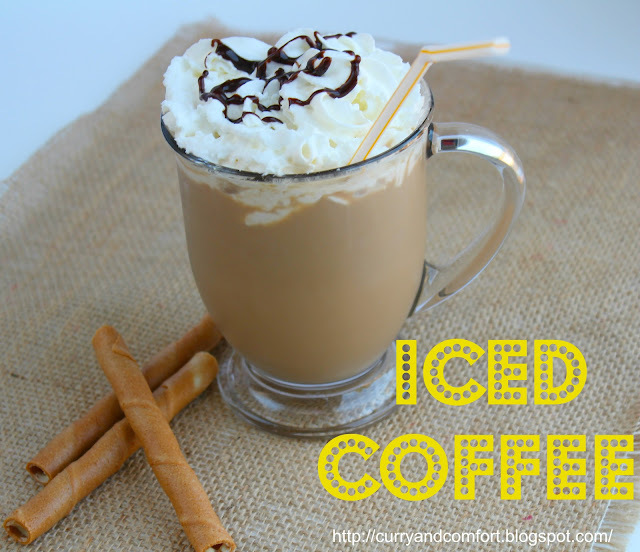 Take note of my tips and tricks below to jazz this already wonderful iced coffee up. Note: I simply used instant Nescafe coffee. You can use any brewed or instant coffee that you like. Make the coffee as strong or light as you like to drink it. Make hot coffee and mix in condensed milk and vanilla. Allow the coffee to chill well in the fridge for several hours before serving. Serve over ice. Tip 1: You can add a dollop of whip cream to make it even more decadent. Tip 2: If you don't like ice cubes diluting your ice coffee, you can freeze some coffee in ice trays and use them as ice cubes. Tip 3: You can stir in some chocolate syrup to make a mocha flavored coffee. Tip 4: You can add a dash of ground cardamom powder to the coffee to give an aromatic/floral taste in the background. Tip 5: You can add Kahlua, brandy or rum to spike your drink. Tip 6: You can add a dash of nutmeg to enhance the flavor. Yum. What a wonderful treat. Ooh, that sounds yummy! I love stuff like that! Thanks for the add on Food Buzz! Love meeting new food bloggers! Wow!! nice look in cup. Above tip is really useful us. I try to make it. Thanks for gave information. Mmmmm....the only way have coffee these days is in desserts and fabulous drinks like yours! So beautiful, Ramona! When I come visit, please remember to make this, ok? It looks amazing. This looks and sounds so good right now! It is 90 degrees here and recently I developed tummy issues whenever I get a starbucks. I think they must have changed ingredients or something. Yay! Now I can make it at home! I love this, I drink iced coffe everyday even in the winter. I am going to try that tip on freezing the coffe into ice cube trays. Great idea. Hope you are enjoying your weekend my friend. Now that's my type of a drink! YUM! Now this is a great way to start the day! Love the condensed milk with coffee! Hum - Since you recommend chocolate, I'm thinking that the Mayan chocolate powder I bought this summer might just be another delicious variation of this coffee! YUM! Have a great week! Love! I just bought a coffee bean grinder (my first ever) so I'm looking forward to trying out some DIY flavored coffees myself. I can never seem to plan ahead on the refrigerating part though for iced coffees! The Best Coffee Maker Review many of the choices found on individual cup java machines, such as the cup dimension and temperatures. This makes it increasingly simple to use; my kids had no problem working it.